Lake Oswego has all kinds of special events planned to help you count down the days until Halloween. You’ll find something for everyone from spider web crafts for preschoolers at the library to Halloween wine tasting for the 21 and over set. I’d say in most cases, you’re in for a treat! Lakewood Theatre Company Costume Sale. Take advantage of the Lakewood Theatre’s “fall cleaning” and pick up some costumes from old shows or all the ingredients to create your own. In the past my wife found such gems as an adult size blue gingham dress from a Wizard of Oz production and a drum major hat. Saturday, October 18 from 10:00 a.m. to 4:00 p.m. and Sunday, October 19 from 12:00 noon to 4:00 p.m. Lakewood Center for the Arts Community Room, 368 S. State Street. Dennis’ 7 Dees Lake Oswego Garden Center October Kids’ Club: How Cover Crops and Scarecrows Help Farmers. Learn about cover crops and help make a scarecrow for the garden center’s fall display. Sunday, October 19 from 2:00 p.m. to 3:00 p.m. Lake Oswego Garden Center, 1090 McVey Avenue. $5/pre-registration. Legends and Lore. Sign up for this inaugural haunted historic tour of Lake Oswego. The family-friendly evening will be filled with folklore, antique sites, spirits and storytelling. Friday, October 24, 5:30 p.m. Adult Community Center, 505 G Avenue. 503.675.2549. $13 fee. Register for Class 10470 through Lake Oswego Parks and Recreation. No Carve Pumpkin Decorating. Make your pumpkin spooky or stylish. Materials provided. Saturday, October 25 from 10:00 a.m. to 12:00 p.m. Luscher Farm, 125 Rosemont Rd. Register for Class #10227 through Lake Oswego Parks and Recreation. $10/Resident; $15 Non-Resident. 503.675.2549. Get Crafty with Pumpkins. Use natural materials to decorate your un-cut pumpkins. All ages welcome. Saturday, October 25 from 1:00 p.m. to 2:00 p.m. Dennis’ 7 Dees Lake Oswego Garden Center. 1090 McVey Avenue. $5/pre-registration. Spider Web Craft for Ages 3-5. Tuesday, October 28 and Wednesday, October 29 beginning at 11:00 a.m. Lake Oswego Public Library, 706 Fourth Street. Pre-registration required: 503.697.6580. Costume Party for kids in grades 6 and up. Enjoy snacks, crafts and pumpkin bowling. Thursday, October 30 from 7:00 p.m. to 8:00 p.m. Lake Oswego Public Library, 706 Fourth Street. 503.636.7628. Halloween Wine Tasting. The folks at World Class Wines have some special wines in store, all of which promise to be juicy and blood-red including “Bone Shaker” – a Zinfandel with a glow-in-the-dark label. 4:30 p.m. to 8:00 p.m. $15 for 6 wines; $5 bonus pour, 269 A Avenue, 503.974.9841. Trick-or-Treating. 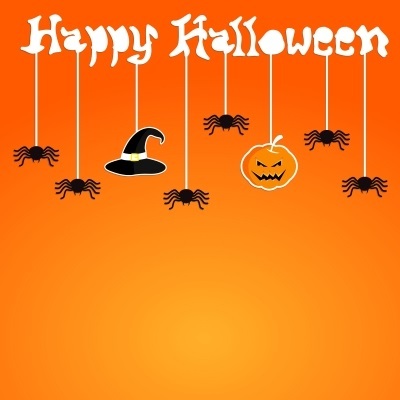 Check out my blog on best trick-or-treat neighborhoods in Lake Oswego. If you want a real treat, sign up to be notified of when a new 52 Reasons to Love Lake Oswego comes out by clicking the “Sign me up” button in the top right hand column. This entry was posted in Seasons in Lake Oswego Oregon, Things to Do in Lake Oswego and tagged Halloween activities in Lake Oswego Oregon, Halloween Wine Tasting, Harvest Celebration, Lakewood Theatre Company Costume Sale. Bookmark the permalink.